"You think of all the sporting events, and you think of all the teams that become world champions, and in golf there are not that many opportunities to be world champions,” he said. "On Saturday we really clicked together and played a great round and when Matt got up-and-down at the last that gave us the momentum into today’s final round,” Woodland told reporters. 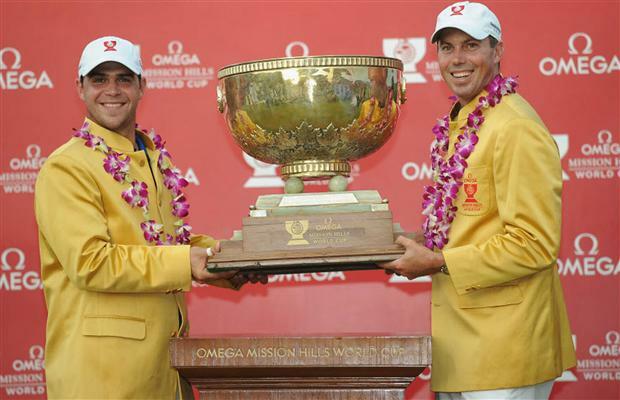 "We … were a little subdued last night and neither of us were much company,” said Poulter. “We stayed in our own rooms, and kind of rightly so as four-under par in fourball was very disappointing. "But to go and shoot nine-under par in foursomes is crazy.